Nick Percival is an American scientist and entrepreneur who is best known for his work criticizing and explaining Einstein's special theory of relativity's treatment of time. Nick graduated from Harvard in 1964 with a degree in Physics. That started a, now, 50+ year focus on the Twin Paradox and from those studies a unique view of the relationship between Special Relativity and aether theory. Most CNPS/NPA members can relate to Nick's path espousing his alternative views. Nick initially debated many individual professors who held standard views of how the net proper time difference accumulates in a Twin Paradox scenario. The problems encountered in those debates led Nick to define a new debate methodology. New debates are done entirely in terms of pairs of events and the PROPER time between those event pairs - the technique is described at http://twinparadox.net/ In addition, Nick published 5 papers defining his views. Despite, ?winning? debates, little impact on the physics community resulted. Hence, Nick's current focus is on data from GPS that clearly shows that asymmetric clock retardation is the correct physics model rather than Special Relativity's time dilation model. Nick holds that while a preferred frame theory such as aether theory gives the correct physical model for how clocks and other process rates are a function of absolute velocity, special relativity can be used for certain limited physics phenomena to get the correct numerical answer even though the implied physics is incorrect. Note that all the clock rate data claimed to support special relativity supports the preferred frame model and further, some of the clock rate data claimed to support special relativity actually refutes special relativity but is consistent with preferred frame theory - see http://twinparadox.net/. 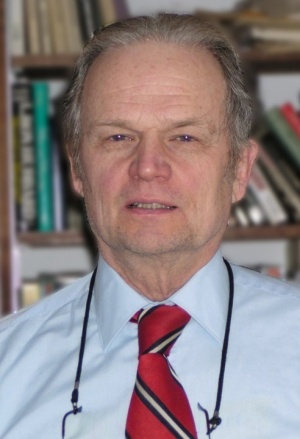 Nick is a member and also, as of 2016, a director and officer (Secretary), of the CNPS, the current leading scientific institution on "spacetime" physics and on the forefront of many new physics breakthroughs. As an entrepreneur, Nick started several companies. Most recently, Nick, starting in the late 1990's, co-founded TeacherWeb.com with the goal of providing teachers/educators a super easy way to create and update webs for communicating with students (and parents). Nick developed the software system as the sole developer and received a patent for the technology that enabled ease of use even for those not familiar with the Internet or computers. Nick currently hosts his own YouTube Channel called "Nick of Time"
2016 - "Analyzing Special Relativity’s Time Dilation Within The Context of Lorentz Relativity"
2009 - "Implications For SRT: Observations From A Long Odyssey"
2009 - "The Twin Paradox: How To Win The Debate"
This page was last modified on 10 April 2019, at 13:23.